There’s few people as well positioned to know exactly what Cal Crutchlow puts into his sport – and the power of a win – than close friend and 30-time Tour de France stage winner Mark Cavendish. And following last week’s incredible debut win for the Isle of Man native, MCN caught up with the Olympic medallist to get his thoughts on his neighbour’s victory. And, both friend and training partner to Crutchlow, the yellow jersey says his heart rate spiked even higher than Crutchlow’s on his way home from his silver medal success at this year’s Rio Olympics! “I was on the way back from London and was watching the race on the app on my phone. When he went back to fifteenth, I knew he had something planned for the rest of the race. But with Cavendish a frequent training partner of Crutchlow’s (and the motorbike racer the match of the sprinter over some of the Isle of Man’s climbs), the Manxman also knows how much hard work went into the win. 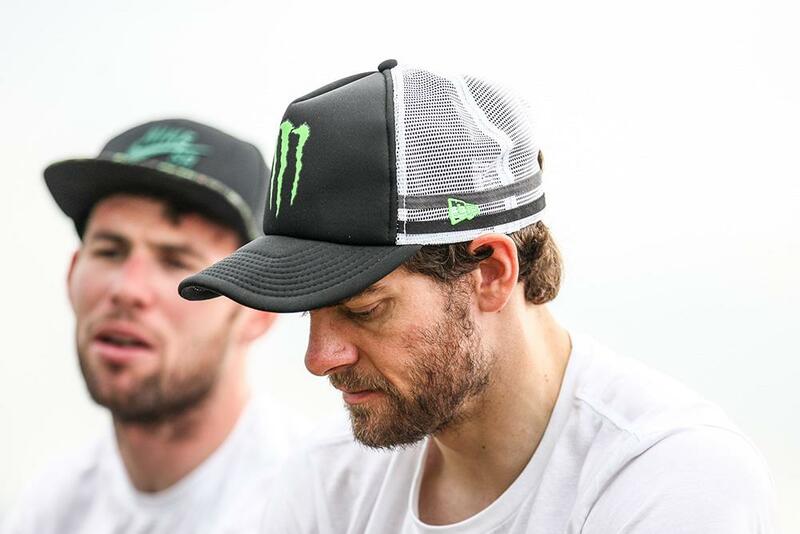 And the father of two kids of his own, both of whom have had the chance to join him on a Tour de France podium, Cavendish says that the birth of Crutchlow’s daughter will only make him stronger.